Thanks for writing in! I see that you have a Cornerstone license. You can install Cornerstone as a plugin for WordPress. You just need to download cornerstone.zip file from your Envato account and then install it through WordPress plugins section. What is the plugin called in Wordpress or how do I download your specific cornerstone plugin for Wordpress? Also is there a direct link or video link on how to do this? 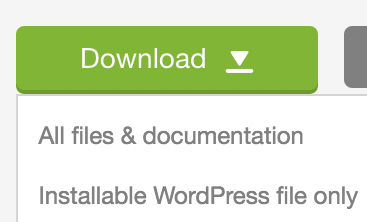 First, download cornerstone.zip file from your Envato account. Then click on Upload Plugin button, and upload cornerstone.zip file to install it. With regard to Cornerstone related tutorials, please check the heading "Cornerstone / Content Builder" on our knowledge base section (https://theme.co/apex/forum/t/knowledge-base-overview/287).